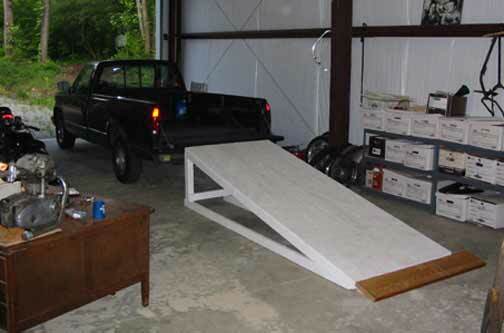 This is the big, permanent ramp I keep in the barn. It's 12 feet long and gradual enough I can roll a heavy bike up it by myself. 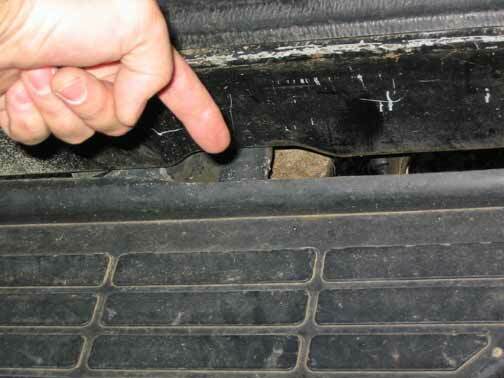 The ramp can be stood on end when not in use to conserve floor space. 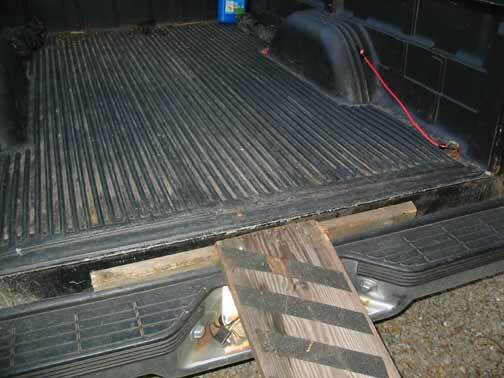 You can see that the tailgate drops right into a notch on the ramp, making it also ideal for rolling dollies, sliding big heavy stuff, etc. 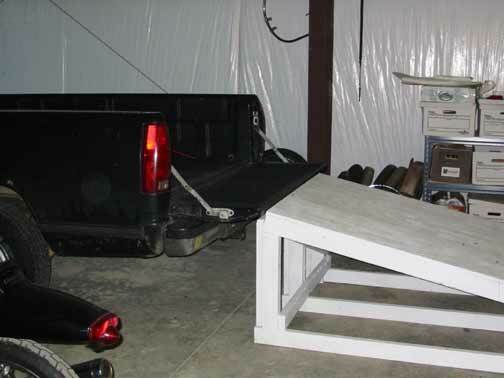 The other ramp, the one that travels with the truck. 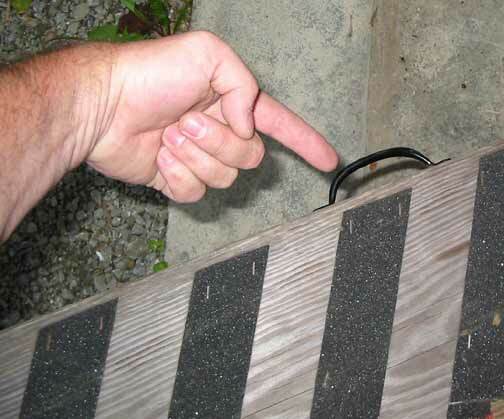 Special care needs to be taken to size the ramp so it can slide in along side a tied down bike. This is not as simple or as obvious as it sounds. 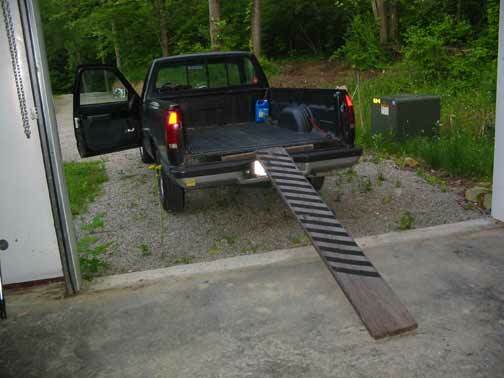 This ramp is 8 feet, or as long as the bed will allow. 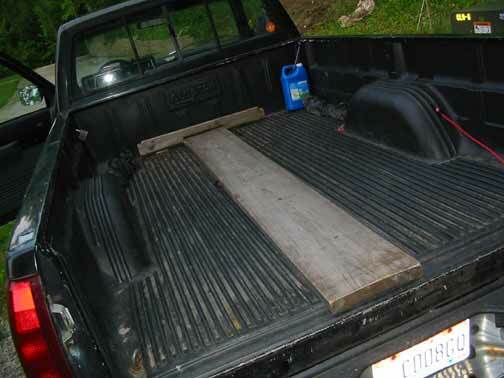 A 2x4 bolts to the upper end of the ramp, which, when the tailgate is removed, engages securely between the bed and the bumper. 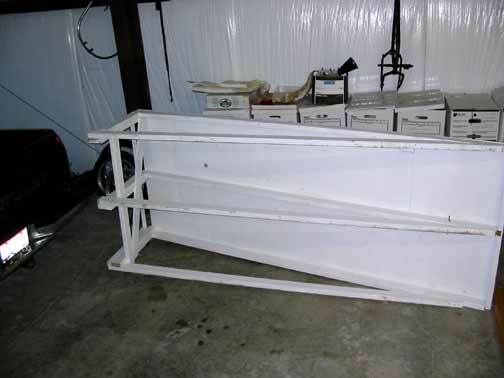 This 2x4 rests on the rear bumper's two main frame struts, preventing the ramp from rolling to either side while loading a bike. 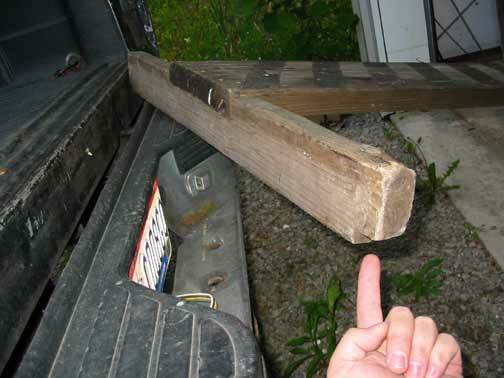 Don't forget to put a handle at center balance; an 8 foot 2x12 is heavy as hell. I like your garden variety hardware store screen door handle.